This website tells the story of the Armory and its vital contributions to American invention and industry by providing primary source documents, images and oral history from the Armory Archives along with historical narrative, interactive activities and curricula written by local teachers. The Forge of Innovation project will ultimately present the Armory's two hundred year history divided into 5 historical periods, each with its own website. 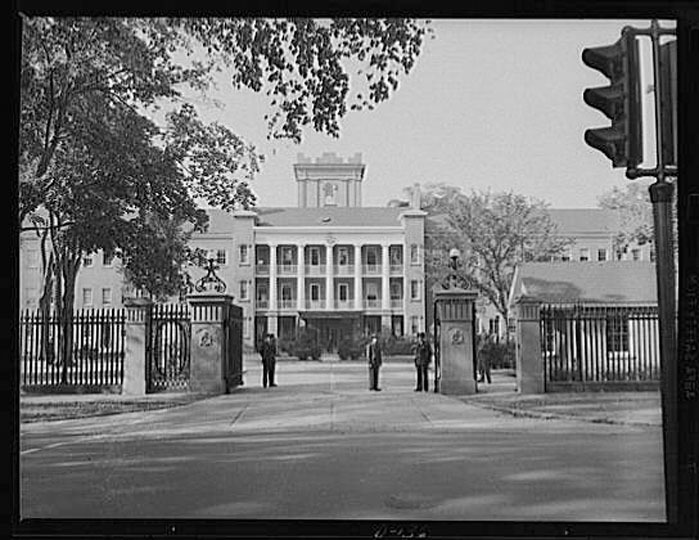 The Armory at Springfield, Massachusetts, began as a Revolutionary War arsenal (a storage and supply depot, as opposed to an armory, where weapons are made) responsible primarily for repairing small arms, making gun carriages and musket cartridges, and storing powder and various war materials. The arsenal was the scene of a battle during Daniel Shay's rebellion in 1786. In 1795, the Federal government purchased land at the site to use for musket production. At this time, guns, like every other manufactured object, were made by hand and individually crafted by gunsmiths or other artisans. This method was time consuming, and resulted in weapons which were one of kind; parts from one musket could not be exchanged with parts from another. More background information on this period is supplied in this essay. The War of 1812 brought home the limitations of this system to the government. Not only were muskets not produced quickly enough to arm the troops, but they could not be repaired on the battlefield. They had to be sent back to a gunsmith to have a new part handcrafted. Clearly it would be better if a damaged weapon could be simply repaired with a standard replacement part. Experiments with interchangeable parts had already been done in France, but no one had managed to combine the needed precision with a reasonably rapid method of production. and to a network of independent contractors in the surrounding region who exchanged ideas and inventions freely with the government facility. 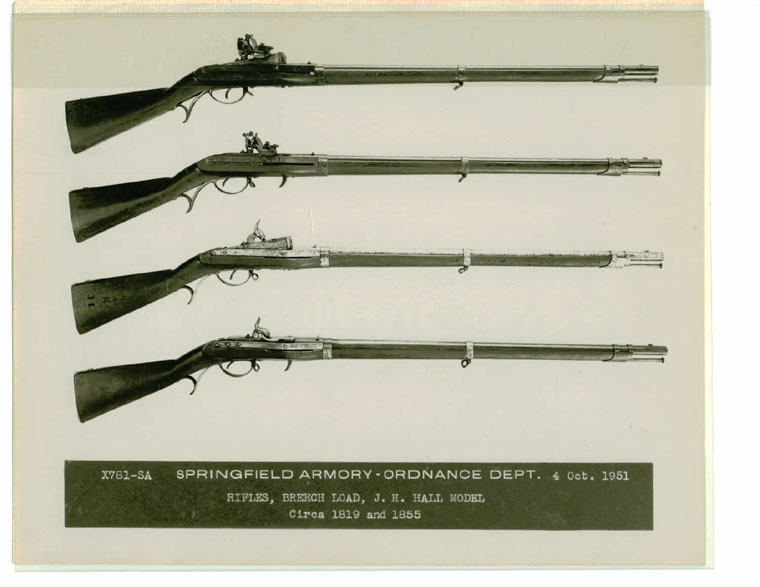 This story is told in The Industrialization of the Springfield Armory, 1812-1865. The "American System," as the combination of practices developed at the Armory came to be known, made possible many inventions and innovations that would transform every aspect of daily life in our society. The sewing machine, bicycle and numerous machine tools, as well as non-military firearms, were among the early spinoffs; subsequently, the Indian motorcycle and the Cadillac automobile were developed in Springfield's rich technological culture. This raises the question of how Springfield ended up losing the motor industry to Detroit; this and other questions will be explored in a projected website covering the years between the Civil War and the Spanish-American War. The coming of the Spanish American War resulted in another crisis for the Armory: The standard issue rifle under production turned out to be inadequate in combat and American troops were finding themselves outgunned. This led to a comprehensive retooling, and the development of the Model 03, which distinguished itself in World War I. 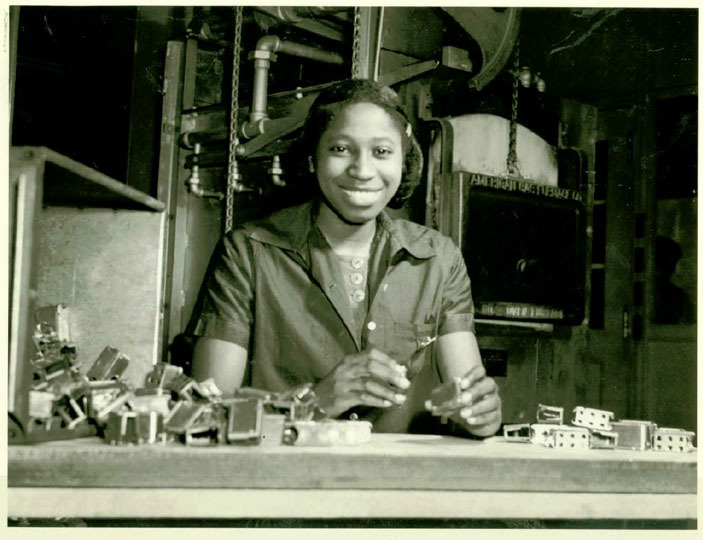 The increase production capacity needed to keep up with wartime demands led to the expansion of the workforce and the hiring of African-American and women workers for the first time. The inter-war years saw the development of the M1 rifle, and World War II again brought increased demands and social changes at the Armory. 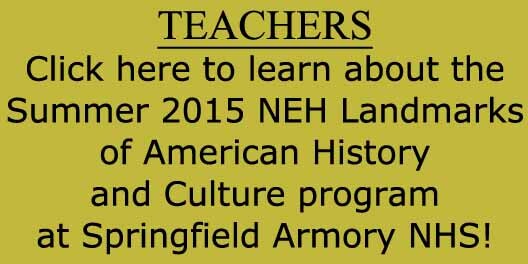 Since there isn't anything like hearing the story from the mouthes of the people who lived them, the Armory has collected Oral Histories from people who lived and worked at the Springfield Armory. Listening to them gives an otherwise impossible insight to the Armory and the country during and after World War II. After World War II the Armory continued to develop new arms for the U.S. military. The M1 was used in Korea and to some extent in Viet Nam. 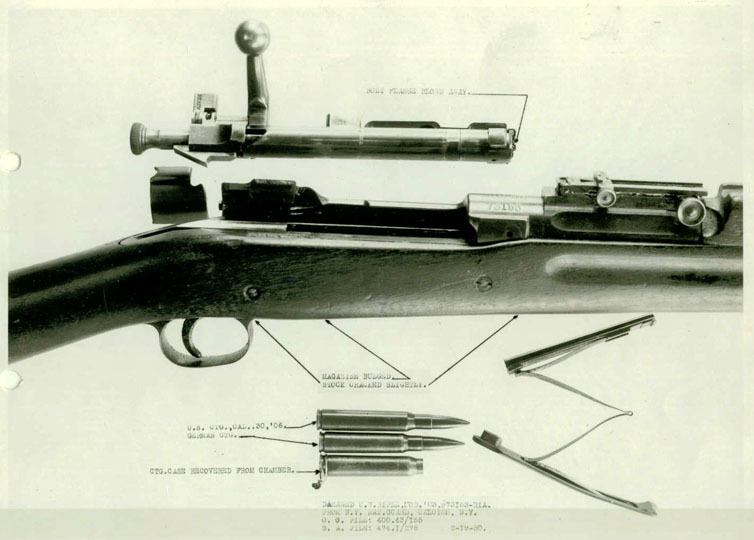 The M14 went into production in 1957, but the M15 was obsolete before it was released. After the M16, manufactured by Colt, was adopted by the military, the Armory was shut down as a manufacturing facility in 1968 and is a National Park Historic Site. This story, with it ongoing themes of government production versus outsourcing, will be covered in a future website.